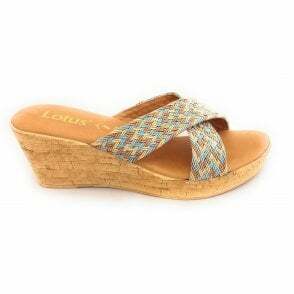 A perfect addition to your summer wardrobe is the Lotus Gail mule. 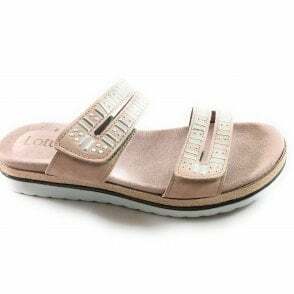 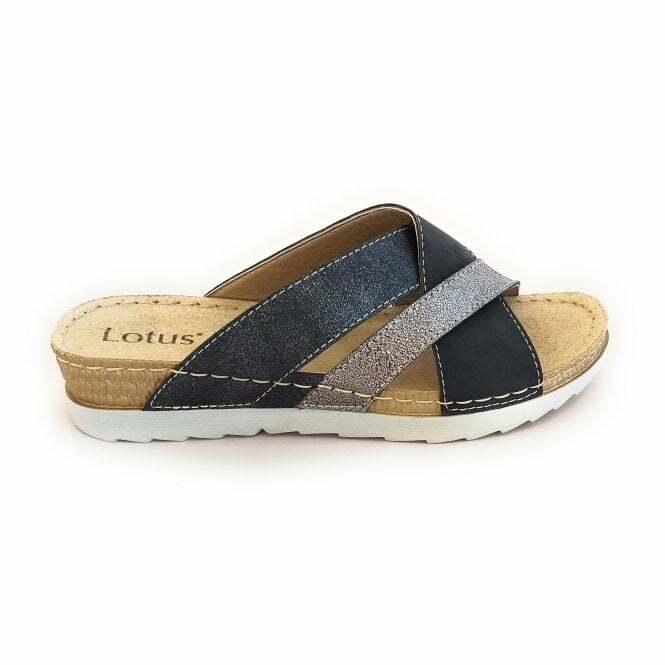 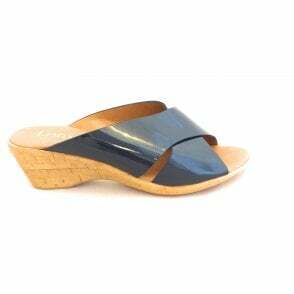 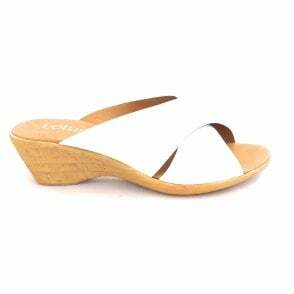 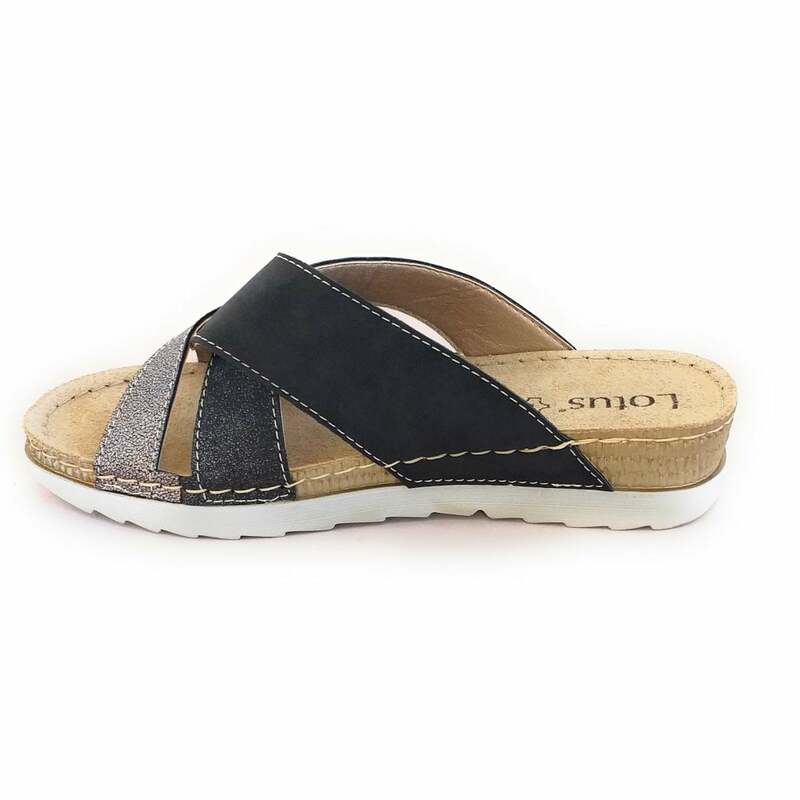 This slip on sandal gives all day comfort with its cushioned leather insole and slight wedge heel. 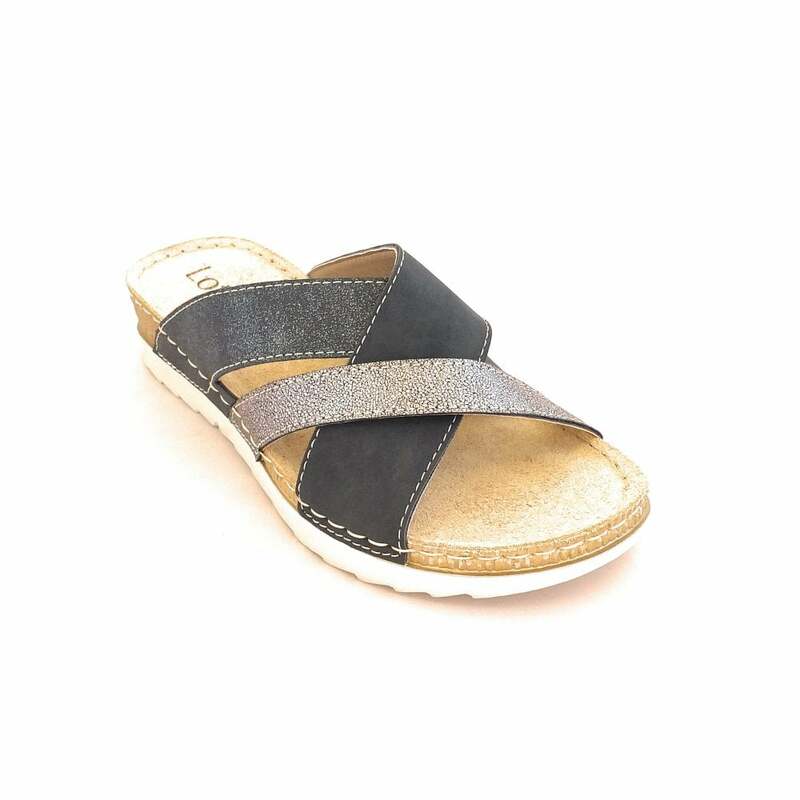 The black upper features a pewter crossover strap design. 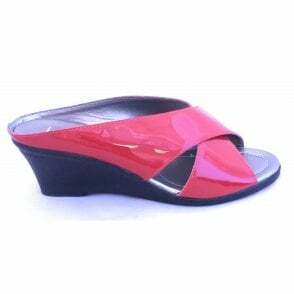 Team with anything from maxi dresses to shorts.